Chefs, your secret ingredient is…Yellow Cream Cheese Icing. 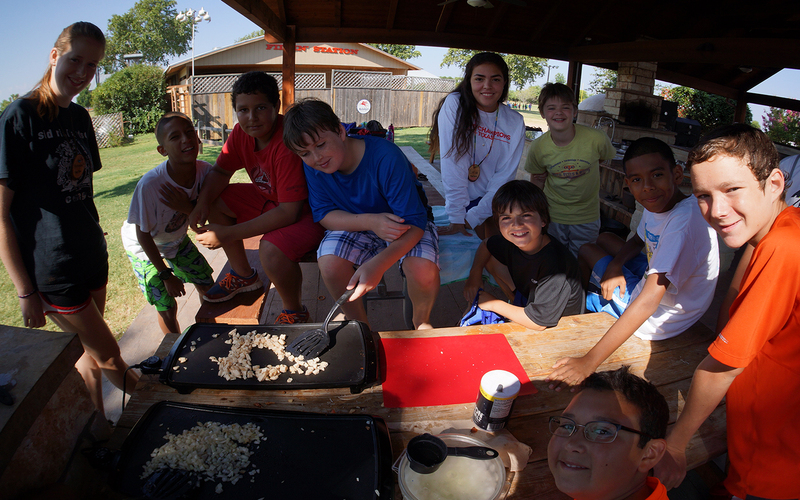 The Outdoor Cooking Pavilion (OCP) is the best place in the world to learn some cooking skills while being outside. The pavilion has a wood fired brick oven, dutch ovens, viking ranges and much more to bake, fry, and cook some delectable treats.